Do burnt Dreamcast games break down your GD-Drive? What Dreamcast Games Are Still Online? Dreamcast Controller Pin Out etc. 1. Extract the 1ST_READ.BIN file from the CDI or your CD. 2. Fire up your hex-editor (I like HEdit or Hex Workshop) and open 1ST_READ.BIN, go to offset 0xF0000 and copy the Hex all the way to 983040 (the end). 3. Make a new file 1929928 bytes large, and paste the contents of the clipboard into it. 4. Save the file, and place it into a directory (ie, C:\SELFBOOTDOA2LE), and extract the data from the CD or the CDI file into that directory as well. Now just follow ECHELON's self-boot tutorial and re-image the CD. -open the iso in a hex editor. -search for the string "KATANA"
-change the number string after "JUE" to "0799A10"
This is shaping up to be quite a list of information here. Now I know where to go for help! i made this for some one a while back. then i got the idea to post it here. i do not know if any of the links are out of date. this thing was wrote over a year ago. 3.Counter strike Beta. Here is the free download. This is from Megaupload.com. You must enter the 3 digit code that it asks you for. This is located at the top of the page. Then wait 45 seconds before you can download. http://www.megaupload.com/?d=Y3UDFJRD. 4. You will also need a PC with a CD burner on it. It would be simpler to download WinRar before the counter strike beta. Because you must extract the CT beta with WinRar. Also make sure when you extract the counter strike beta that you save it where you can find it. I suggest making a new folder for it on your desktop. First make a new folder on your Desktop and rename it. After you entered the 3 digit code on meaguploader.com and waited 45 seconds You can then down load. When your computers download options window pops up. (Select open). When it's done downloading WinRar will automatically open with the counter strike file in it for extraction. You have to extract all 9 counter strike files. WinRar will show 11 items in this menu. Only 9 are Counter strike files. The Counter strike icons look like 3 tiny books stacked up. You can extract all 9 at one time by dragging your mouse over them and highlighting them all. After you have all 9 highlighted. Click on the highlighted area with the (right) mouse button. An option. Menu will open. You want to select the option that says extract to specified folder. Selecting this option will open a new menu. Look for the folder that you made earlier. The one that I suggested for you to name Counter strike. It should be easy to find. Once you have found it. (Double click) on it. Then (click ok) at the bottom of the menu box. The small extraction wizard should now be seen on your screen extracting files to the folder you specified. When you open discjuggler it will show you a Tip of the day. Close this. You must wait 10 seconds to start running discjuggler. Now that discjuggler is opened you want to go to file. Itâ€™s located at the top left. Select (new). a menu window will pop up look for the option that says "burn disc images". You should now have yet another new window. This is the burning window. Make sure you have a blank CD-R in your burning drive. Click the (source) tab. It's directly below where it says source. Do not use the pull down arrow that is to the right of the source tab! After selecting the source tab a new window will pop up. On this new window you will want to click on the pull down arrow and select (desktop). Now look for the folder you made earlier and (double click it). Now look for the disc image. It should say "Counter-Strike DC Beta 3 MP1.cdi"(double click it). Everything should be ready for burning hit start. You will get a warning saying discjuggler is running in evaluation mode. It will write at lower recording speeds and only up to 700 megabytes. Would you like to continue? (Select yes). After its finish burning your done. if you need any screen shots of anything let me know. and if you have any questions feel free to PM me. If you get a Pre-Wire modchip with board then use this guide ^ [5v]. If you get a bare chip then you need a different VCC point [3.3v]. You most use point 1 in the diagram for [3.3v] VCC. capacitor directly to the VCC and GND line of the modchip. Ok guys, I just wrote this up, please tell me if I need to correct any misspelled words or punctuation. DC_Tman wrote: This is shaping up to be quite a list of information here. Now I know where to go for help! I agree with you. It,s a great post which have all about Dreamcast tutorial. Thanks for the post. Really lot of help there. 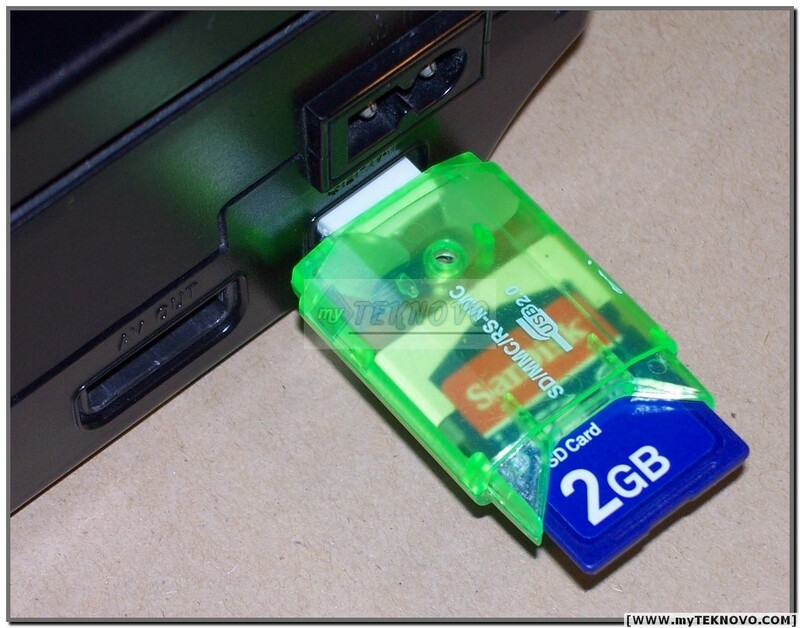 1) Try to buy the new compact sd card readers (old ones with long wire are put together with less quality than ones being sold now which are compact and plug right into serial port). Make sure a good connection is made though, maybe a piece of scotch tape on sd card reader end to plush the fit. 2) Best sd cards to use are 1-4 gb ScanDisc sd cards class 6 (blue sds). Many sd cards (like 32gb or non scandisc won't work). 3) Tell the users WHICH copy of Dreamshell cd such as DS RC1 or DS Beta 3 or Beta 4 to use with said game (sadly uploaders don't do this), for instance doom_dc seems to work with all Dreamshell versions but Sonic will not run on RC1. IF you have bios chip in dc, you could simply install Dreamshell in your dc without the need of Dreamshell cd running anymore after that. It would be cool if people buy the bios chips, then put Dreamshell on it, then sell on ebay with directions how to install. 4) When downloading the sd isos, NOT regular isos, read the description of sdisos on isozone.com and make sure the sd game works with the Dreamshell cd VERSION you have, example Sonic (and others) will work with Dreamshell Betas perfectly but will freeze up in Dreamshell RC1. 6) I also found out if a sd game "freezes" or if it works great once then you immediately restart dreamcast to play another game or same game on sd card and it don't work anymore, you don't need to reformat the sd, just let the dreamcast and sd card reader "cool" for 10-20 minutes then restart the game and it'll work fine HOWEVER if you have 20 games on sd card like me, and you put another game on that doesn't work with DS RC1 and you get "the black screen of death aka black screen with white text with bottom reading DS$ help" then that game, and all of them...will be corrupt, so you will have to reformat sd card and put the games you know work back on it, usually 1-2 gb cards have this issue. 7) Hit the "A" button twice to select "run yes/no" sd, if you hit only once nothing might happen, so press A button on dc controller twice to see "run sd card iso" box in DS SD menu. Select yes and game will load and you can play it then. You can play some retail games (some run near or even perfect) converted to work with sd card and great "4th party" as I call them homebrews and even emus to play on sd. 10) Thank you to Swat for dreamshell boot cds and answering our questions and to the people making various dc sd card readers. Last edited by #1phoenixsunsfan on Wed Jan 23, 2013 5:07 am, edited 4 times in total. I appreciate the above SD tutorial! I was trying to load sdisos from a 32gb card.. sad to hear that the high-capacity cards won't work. I was hoping to put my top 20 games on one card to spare my GD drive.